Hello and welcome back to our second day of JustRite Papercraft's February release. I am back with a super colorful card today. I had a lot of fun making this card. I white embossed the background stamp onto white water color paper and painted it in with water colors. 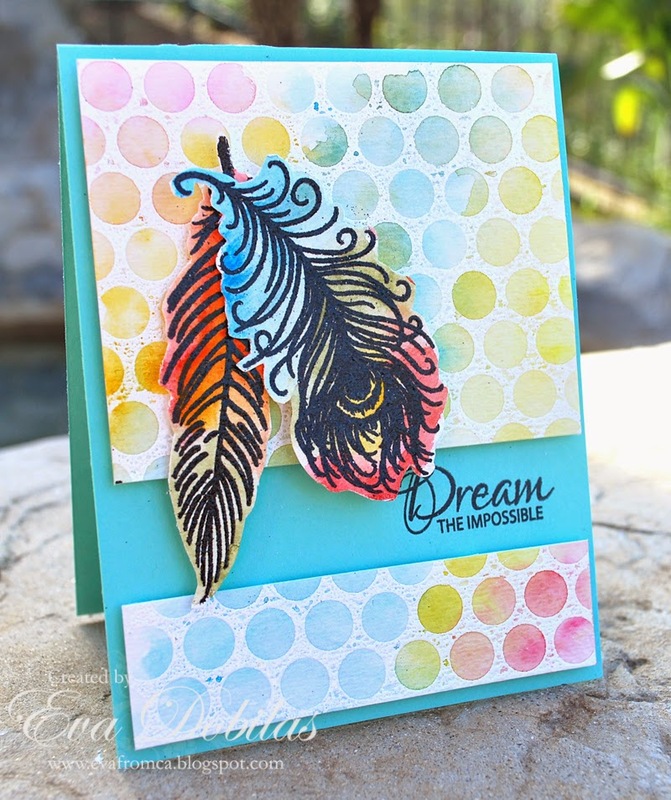 Than I black embossed the feathers onto water color paper and once again I added water color to it to bring the feather colors out. The layout of this card came from Splitcoaststampers TLC519 challenge, which is the newest Technique Lovers challenge titled The Sentiment Down Under. Here is what the Whisper of Wings Clear stamp set looks like. You may see that there is even a sentiment in this set by one of our design team mates Heidi Blankenship. Although I didn't use it on my card, I LOVE that quote. Well done Heidi! Love this set!!! Thanks for visiting and as always have a beautiful day!